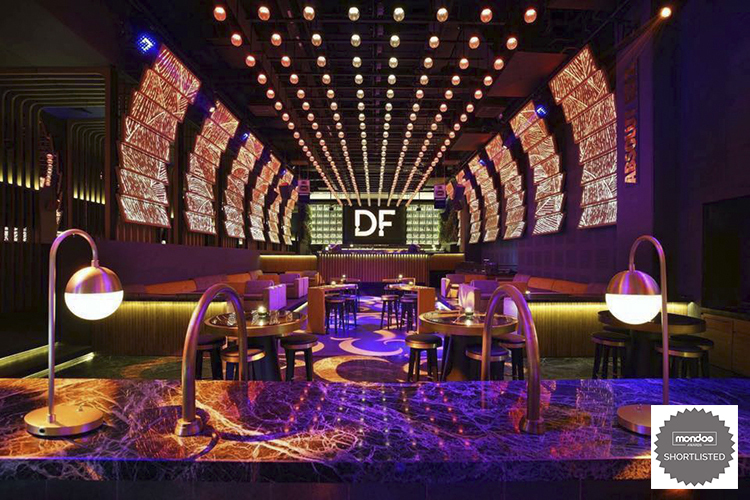 Dragonfly by Ismaya Group, which opened 12 years ago, is one of Jakarta’s hot spots and is still well known as one of the leaders in the entertainment industry in Indonesia. The interior at Dragonfly carries an Asian influence throughout, using wood and marble to invigorate the venue with an organic look. 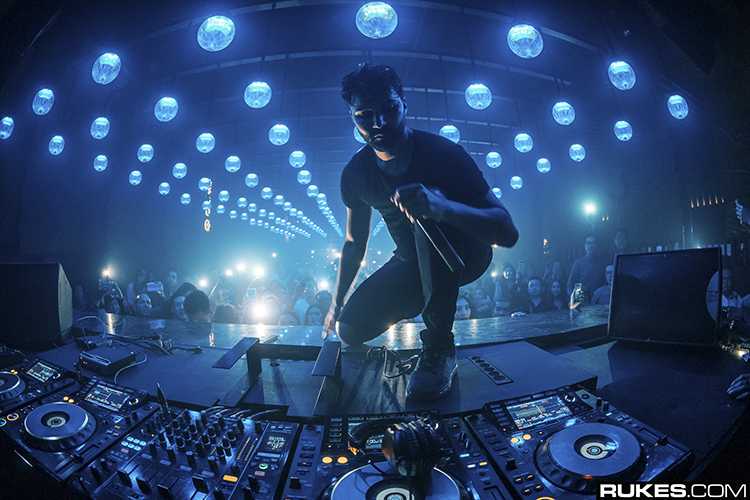 This interior is jazzed up with an exciting kinetic lighting effect using Clay Paky Mythos and Ayrton Magic Panels, as well as a gentle array of LED screens at the back of a bar, which can be opened from the middle to give a theatrical touch to the venue. 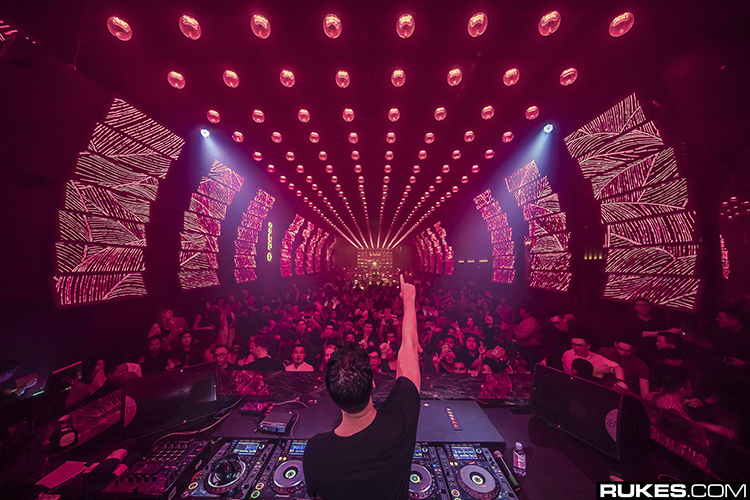 Along the venue, the walls are created with rectangular panels in a curved shape with a laser-cut, unique pattern backlighted with more than 700 meters of RGBW LED tape – all of which plays an important role during the night. 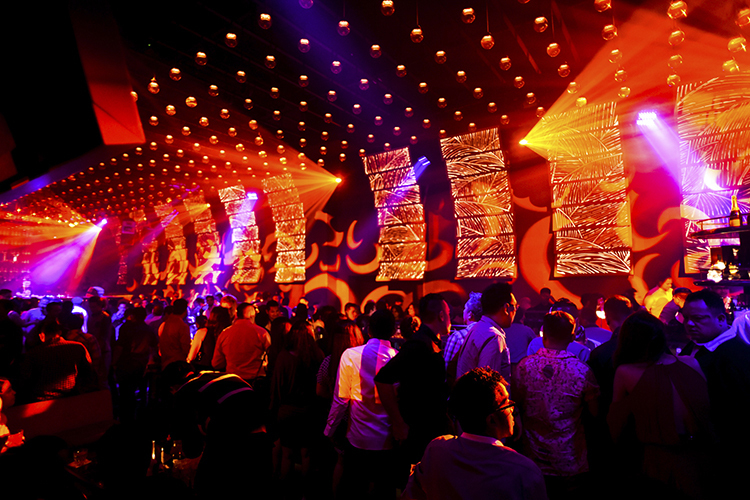 Gradients of tones and multiple light patterns controlled by MADRIX evolve as the party-goers experience the night. 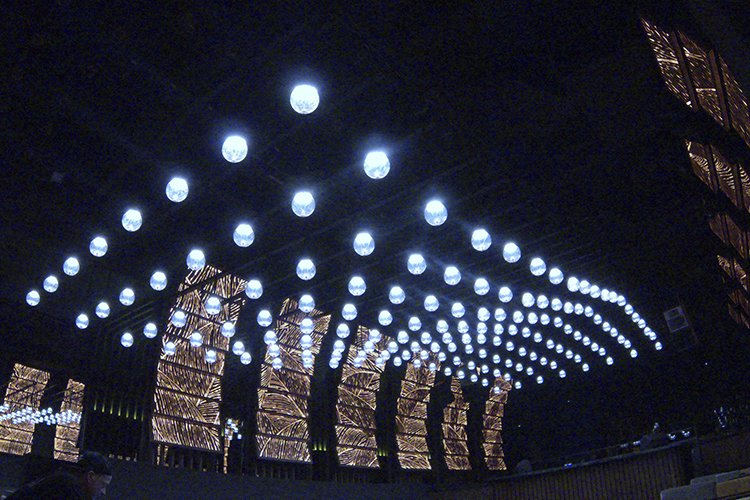 With the kinetic ceiling, multiple compositions can be made with the 500 custom-made RGBW light bulbs and smoke finish diffuser – sometimes bringing the ceiling close to the guests to create a soft and intimate atmosphere when needed. It was a delightful creative process. An unbeatable combination working closely with our client, who had a clear vision since the beginning, open to hear our ideas and fearless to new technologies. An excellent interior design team which left us participate since the beginning, listening to our crazy ideas and adapting their designs to facilitate the installation and future maintenance without affecting the essence of the project. One of our main aims was to respect and highlight the architecture, adding the right number of lighting fixtures and technology to transform the place without losing the ambience. We had the opportunity to design, supply, install, program, train and maintain to ensure a good performance and long life to the venue.